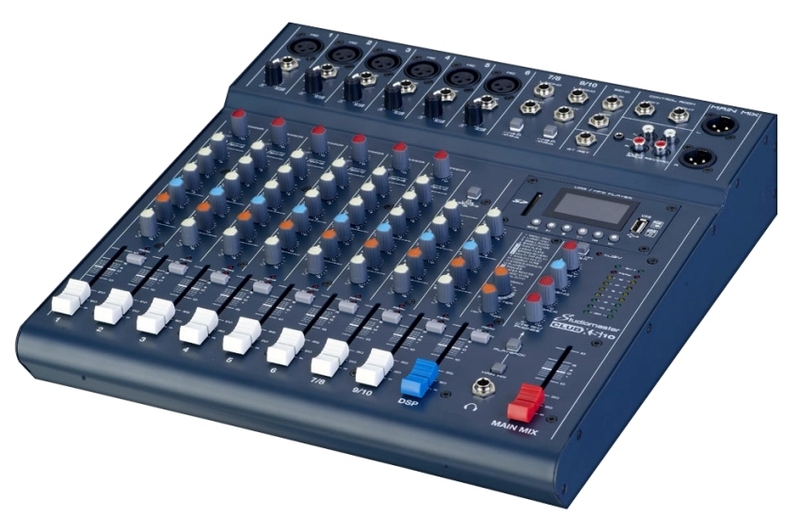 The XS10 is a compact, portable mixing consoles featuring 10 inputs, Bluetooth connectivity, on-board DSP effects and USB/SD card playback and recording functions. 3 band EQ, 2 auxiliaries, balanced mic/line connectors, compressor control, and a useful mute switch on all Mic and line input channels, and 2 band EQ with 2 auxiliaries for both stereo channels. There are also balanced XLR connectors for the main outputs, jack outputs for auxiliaries and control room, and phono connectors for record and playback. Ultra compact, light weight, high quality and extremely versatile, the Club XS is the perfect mixer for any live performance and home recording situation .